Can they overcome the past to find a brighter future together? 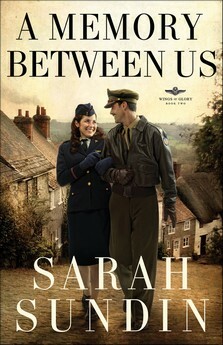 A Memory Between Us is the second book in Sarah Sundin's Wings of Glory series, which follows the three Novak brothers, B-17 bomber pilots with the US Eighth Air Force stationed in England during World War II. World War II books seem to abound right now, and Sundin has created an offering worthy to be found on your shelf. 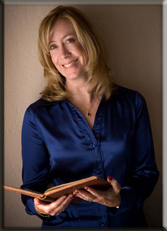 Well researched, with interesting plot lines, this novel is one that touches on a "tough" subject (Ruth's abusive, painful past as a young woman living in desperate poverty), along with themes of God's grace and redemption. It also looks at Jack's desire to serve God - and how that desire might not mirror what is expected of him by his minister father. On a scale of 1 to 5, with 5 being the highest, I give it a 3.5 to 4. Sundin's novel has strong, well developed characters and a solid story line. While it's the second in a series, I think it will stand alone - there's enough "back story" provide to help you know how Jack's story weaves into Walter's tale - the first book. Sarah Sundin is an on-call hospital pharmacist and holds a BS in chemistry from UCLA and a doctorate in pharmacy from UC San Francisco. Her great-uncle flew with the US Eighth Air Force in England during WWII. Sundin lives in California with her husband and three children. This is her first novel. Want to learn more about Sundin? Want to read more about book one? Read my review here. 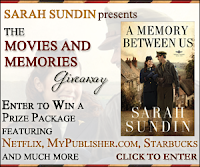 It's The Movies and Memories Giveaway in honor of book two in the Wings of Glory series. 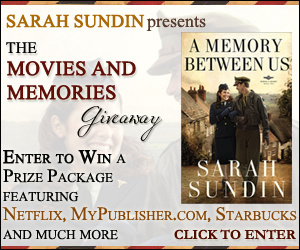 To celebrate Sundin is giving one lucky winner A Movie and Memory Prize Package! Only persons residing in New Zealand, United Kingdom, South Africa, United States, Canada and Australia who are at least 18 years of age can enter. Need more Details? Want to Enter? Kaylea - thanks for your lovely review. I'm so glad you enjoyed Jack & Ruth's story.